Host have been releasing limited edition CDs, DVDs and print items to extend the audience reach and lifespan of our projects. We also use the HAG label to catalogue artists' editions by host artists. Here is a 'hostography' of all releases to date. Please email us for availability. 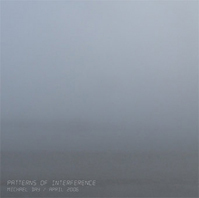 Notes : CD version of the podcast commissioned by the Sound Network and Folly Gallery. Availability : Available for £5 including postage in the UK. Limited edition of 6 numbered copies, plus one AP copy (destroyed by liquid). 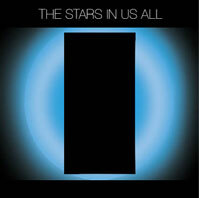 Notes : Stereo version of the installation The Stars In Us All shown at Bloc Space, Sheffield. Gallery edition of 50 certificated copies. Each copy comes with a badge. 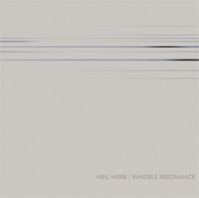 Includes section recordings of the two versions of Invisible Resonance. The first made for the exhibition Pop in Sheffield,the second made for the exhibition Spool in Amsterdam. Availability : Available for 10 pounds including postage in the UK. 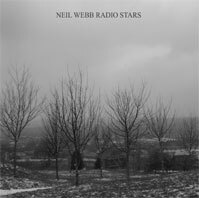 Notes : Collection of tracks from unavailable CDs. 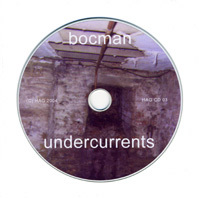 (2006) Edition of 50 numbered copies. Notes : Edition of 50 numbered copies. Availability : Available for 5 pounds including postage in the UK. 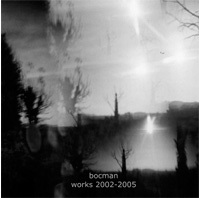 (2005) Private edition, 20 numbered copies, with differing sleeve colours. 1 full colour, 4 green monotone, 15 red monotone. 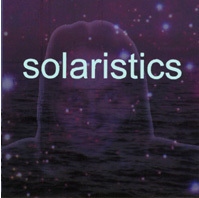 Notes : Inspired by Andrei Tarkovsky's film and Stanislaw Lem's book Solaris. This edition out of print. 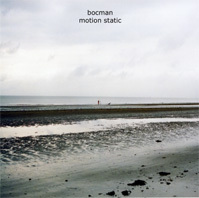 To be officially released in 2008 by Post Office records. (2005) 50 numbered copies. Commissioned by Hull Timebased Arts. 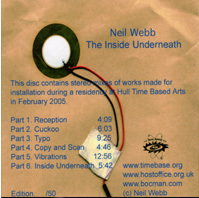 Notes : Commissioned by Hull Time Based Arts.Available during the exhibition The Inside Underneath.Edition of 50 numbered copies. Availability : Out of print. (2004) Special exhibition giveaway CD for the Slow Wave Sleep exhibition, 2004..
Notes : Made for the exhibition Slow Wave Sleep and given away at the private view. Edition of 20 numbered copies. 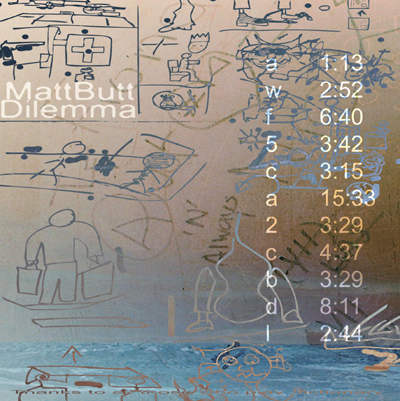 Double CD limited numbered edition of 100 (of which 84 exist). 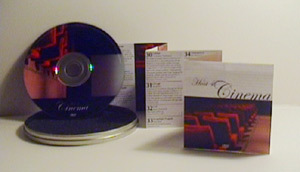 DVD containing examples of work from 36 artists included in the Host 4:Cinema show. Limited edition of 200. Availability : LAST FEW LEFT, £10 inc UK P&P. 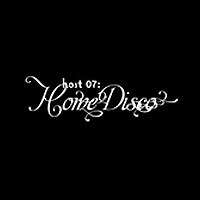 DVD containing examples of work from 18 artists included in the Host 7:Home Disco screening programme.